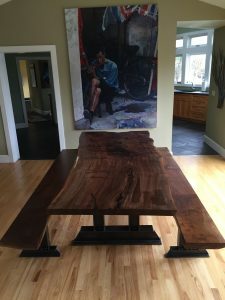 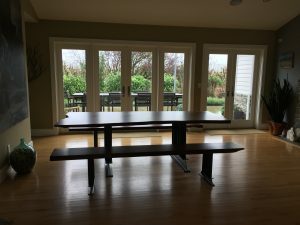 This is a custom Black Walnut slab table top that we built for a client that is transforming their dining room into a modern concept and they wanted something that would be the show-stopper of the room. 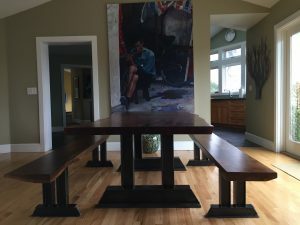 We used a 8’x40″ wide slab that came from a tree we salvaged in Davis,Ca. 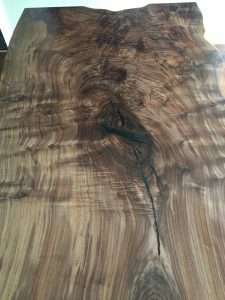 We filled all of the checks and cracks with black epoxy to enhance their beauty. 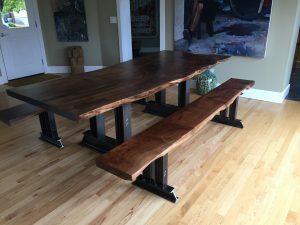 We also created 2 matching bench tops.